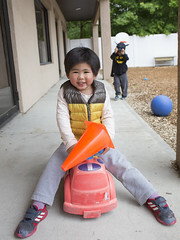 Circle of Friends offers a variety of childcare programming options with care available from 7:30am to 6pm. 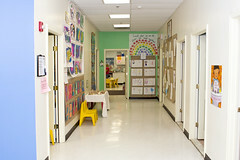 We also offer a variety of Preschool experiences including full day care, school year morning program and extended day options. Programing Options are detailed below. 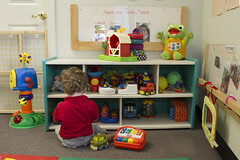 Circle of Friends provides infant care to children between the age of eight weeks and fifteen months. We have programming options of 7 hours, 9 hours and 10.5 hours on a two, three, four or five day schedule. 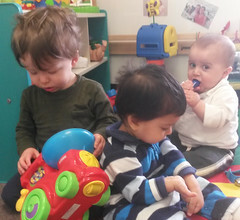 Circle of Friends provides Toddler care for children between the ages of fifteen months and three years of age. We have two Toddler Classrooms; The Penguin Classroom enrolls children between the ages of thirteen months up to two years of age. 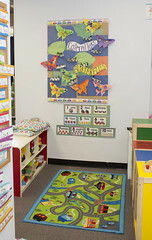 The Ladybug Classroom enrolls children between the ages of two to three years of age. We have programming options of 7 hours, 9 hours and 10.5 hours on a two, three, four or a five day schedule. Circle of Friends offers a variety of Preschool experiences for children between the ages of 2.9 years of age to 5 years of age. We offer a full day, full year program, a ten month program, a morning school year program with the option of extended day as well as blended schedules which includes a combination of the above named programs. Although we have several different programming options in the Preschool Program, children are grouped based on age and development and not by the program they are enrolled. Is a full day care preschool program that enrolls for 9 or 10.5 hour options on a two (Tuesday, Thursday) three (Monday, Wednesday, Thursday) or five day schedule. 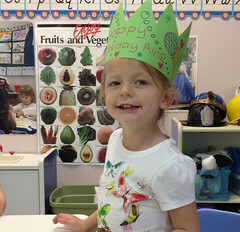 Is a full day care preschool program that enrolls from September 1st to July 1st. This program offers 9 and 10.5 hour options on a two (Tuesday, Thursday), three (Monday, Wednesday, Friday) or five day schedule. 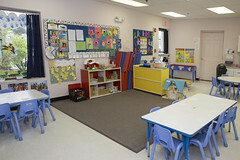 Is a half day Preschool program where children attend on a school year calendar (almost identical to the Framingham Public School calendar) from 9am to 12:15pm. Typically the school year begins during the first week of September and concludes during the first week of June. During the school year this program observes the traditional school vacation weeks (the week between Christmas and New Year’s, February and April vacation weeks). The program offers a two (Tuesday, Thursday) three (Monday, Wednesday, Friday) and a five day schedule. Our Kindergarten Readiness Program (Pre-K) enrolls on a three (Monday, Wednesday, Friday) or five day program. If you are enrolled in our School Year Program there is the option of enrolling in our Extended Day Program which offers extended day care hours before school (before 8am or prior to 9am) or in the afternoon to 2:30pm, 3:30pm or 6:00pm. 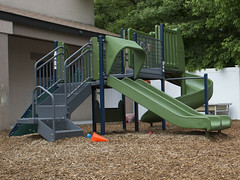 Is a program tailored to meet the needs of each family and can include a combination of any of the above named programs.